Shakira is a Colombian pop-star. Shakira Martin is a Black student-leader. For thousands of years their ancestors occupied different physical and cultural environments, and were subject to different evolutionary pressures. I bet my White girlfriend that every pro-Black and every anti-White identity ad in our subway was produced by Jews, who profit from racial coalition politics. She didn’t believe me. Hareem Ghani is probably a West Asian Muslim, maybe a Pakistani or Bangladeshi, and although those groups are often very hostile to Blacks, it’s difficult for Blacks to accuse them of racism. Why so? Because the official ideology of anti-racism prefers to ignore hostility and prejudice by non-Whites against other non-Whites. It certainly ignores hostility and prejudice by non-Whites against Whites. Again we see a Jewish agenda at work. The agenda promotes what you might call oligolatry or “minority worship,” in which minorities are only ever victims, never villains. Whites, by contrast, are only ever villains. When minorities like Blacks and Pakistanis fail in Britain, it is because of White racism; when minorities like Chinese and Gujaratis succeed, it is despite White racism (which should, but of course doesn’t, make these activists question their dogma that there are no differences between the races). The unmentioned fact in the article is that “Britain’s most powerful elite” is disproportionately Jewish. 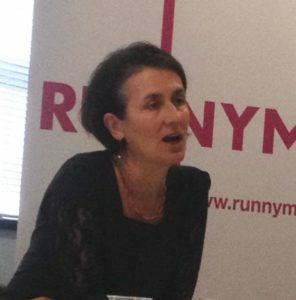 The “grotesque disconnect” and “severe toll” mentioned above were identified by the Equality and Human Rights Commission, which is headed by the Jewish activist Rebecca Hilsenrath. The Jewish Chronicle called her “The Woman with the Best Job in the World,” because she’s leading the fight against the evils of White oppression. But she herself is a perfect example both of Jewish over-representation in the liberal elite and of the Jewish refusal to admit or discuss this over-representation. Jews are what you might call Schrödinger’s Tribe. Just as, in quantum physics, Schrödinger’s cat is simultaneously alive and not-alive, so, in anti-racism, Schrödinger’s Tribe are simultaneously a minority and not-a-minority, just as it suits them to be. So Jews don’t discuss their status as an overrepresented and hence unrepresentative elite. Instead, they push for White goyim to be replaced by non-Whites in positions of power and responsibility. That’s why the Black woman Shakira Martin became President of the NUS in 2017. It’s also why the Indian woman Kamlesh Bahl became Deputy Vice President of the Law Society in 1998. Bahl proved a very bad appointment: she was proven to be an obnoxious bully and caused years of trouble and expense to the liberals who had appointed her. Shakira Martin looks likely to cause the same. Bahl already had a history of bad behaviour before she was given an even bigger chance to indulge her obnoxiousness, but that history was overlooked because she was non-White and female. Non-White privilege. London, April. Bacon was thrown over the wall of a synagogue and found in the grounds. London, May. A Jewish man’s home was hit with pork and eggs. London, May. A Jewish man was called a “Jewish B***ard” on the phone. London, August. A pro-Palestinian video was put on in a museum. At “54 per cent,” Whites are substantially under-represented as antisemites, while Blacks, “South Asians” and “Arabs or North Africans” are substantially over-represented. Therefore, as the White share of the population falls and the non-White share rises, antisemitism will also rise. If the CST genuinely cared about protecting individual Jews from antisemitism, it would oppose mass immigration, particularly by groups like Muslims who are much more hostile to Jews. In other words, when Muslims in a non-Muslim country are treated exactly like non-Muslims, this is “indirect discrimination” that requires privileges for Muslims. Can you imagine a Muslim country accepting such a claim if it were advanced on behalf of Christians? I can’t. Britain now has a legal system that works against the interests of the White British, benefiting instead non-Whites and the greedy, parasitic lawyers who represent them. The girl, who cannot be named, accuses 15 men of sexually abusing her when she was 13 and 14 during a 13-month ordeal. Fourteen of the men, aged 17 to 62, are on trial at Bradford crown court. They deny a total of 28 charges between them. 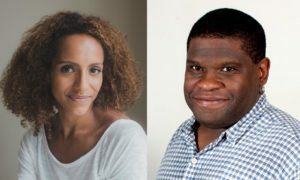 Join the Guardian’s editor-at-large Gary Younge in conversation [with] writer and broadcaster Afua Hirsch for a discussion about race, class and national identity in modern Britain. In her first book, Brit(ish), Hirsch, Sky presenter and former Guardian writer, explores our troubled relationship with history through her personal story as the daughter of a white Jewishfather and Ghanaian-British mother. Former US correspondent Gary Younge, the British-born son of a single mother from Barbados, has written extensively on the perils and potential of identity politics, not least in his 2010 book Who Are We — and Should It Matter in the 21st Century? Note the phrase “uncomfortable facts about race and identity in Britain today.” Ideologues like Younge and Hirsh don’t deal in uncomfortable facts, but in comfortable illusions: namely, that Blacks bear no responsibility for their own failure and that Blacks such as themselves enjoy no more success than they deserve. In fact, Younge and Hirsch have risen on affirmative action, not on their own merit. They are mediocre writers with mediocre intellects who continually criticize and undermine an advanced technological society that Blacks like themselves could never sustain on their own, let alone create. But Blacks like Young and Hirsch are performing one very useful function for Whites. 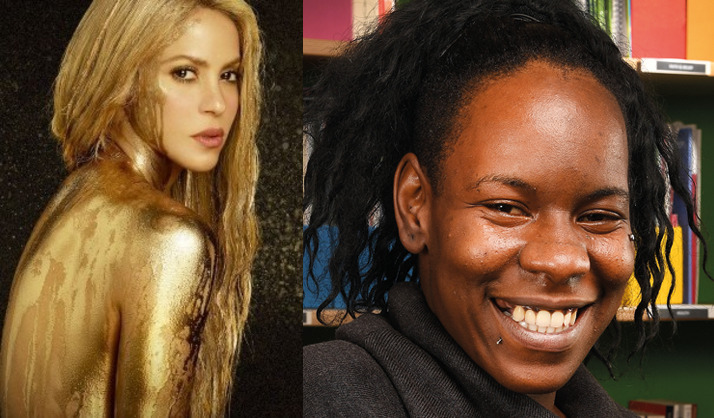 So are Blacks like Shakira Martin. When Whites from Eastern Europe see the pathologies and posturing of non-Whites in Britain, they are strengthened in their determination not to allow mass immigration into their homelands. Nations like Poland and Hungary will not be suffering either suicide-bombing by Libyan Muslims or self-righteous lectures by Black anti-racists. You could say “Lucky Poland” and “Lucky Hungary,” but that would be entirely wrong. Luck has nothing to do with it. All that counts is democracy: unlike Britain, America and other Western nations, Eastern Europe is not governed by a hostile elite determined to destroy its White inhabitants with vibrancy.